New Open Drawing Screen to allow users to work full screen or semi-full screen view. New enhanced methods of documenting drawings with dimensions tolerances and texts. New tool path methods including the ability to custom select pocket entry points. OneCNCXR7 was developed with a major focus on user requests from around the world. 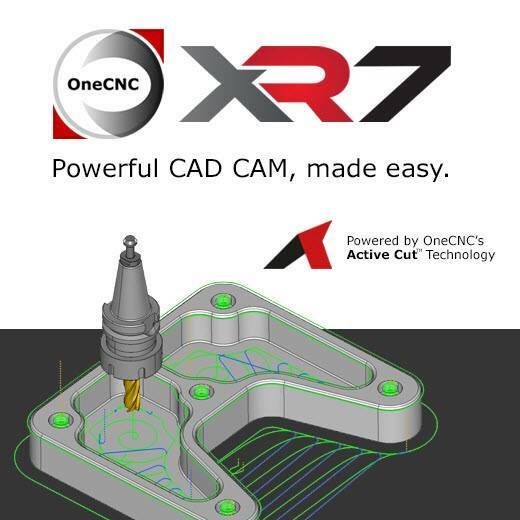 Users globally look for improvements in features that make it faster and easier to create CNC programs for complex parts as well as enhancements that improve material removal and general productivity. CNC manufacturing equipment, cutting tools, and other related technologies are continually changing and users are looking for features to stay ahead of the curve as well as improved functionality for existing equipment. OneCNCXR7 has had the most comprehensive testing in the company’s history, including rigorous on-machine physical testing in our magnificent new machining facility under ISO9001-2015 testing. Testing facilities include Hermle 5 axis simultaneous machines. Our global customers as well as our Global OneCNC offices have been very active in our product development especially in testing processes which has been ongoing for the past few months. OneCNC introduced our new machining and testing facilities to replicate conditions that our users deal with on a daily basis. OneCNCXR7 introduces dozens of significant improvements which details of will be provided closer to the release of the software which is expected by early November. 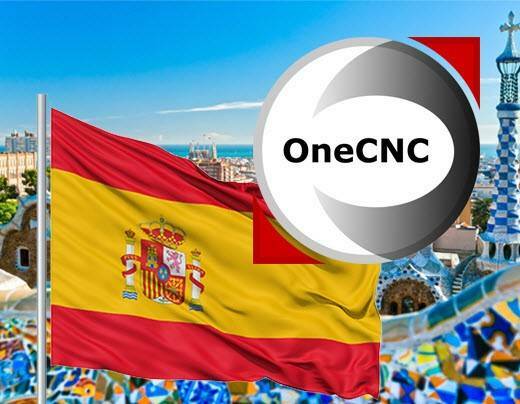 One of the major advancements is OneCNC’s Active Cut Technology which allows for major improvement in machining times together with benefits of increased cutting tools and machine tool life. OneCNC’s Active Cut technology incorporates an all new technology that actively “looks ahead” allowing the cutter path to machine at optimum speed where permitted, and accelerating where possible. This technology not only makes for very smooth vibration free machining it provides greatly improved feed rates and the added benefit of extending cutting tool and machine life. Active Cut Technology has been added to all applicable toolpaths in the milling range including pocketing, roughing, and profiling with all versions benefitting from this technology. Together with this technology there are significant changes to the GUI to provide a much more open view drawing screen and robust improvements to CAD detailing and Unicode text handling.